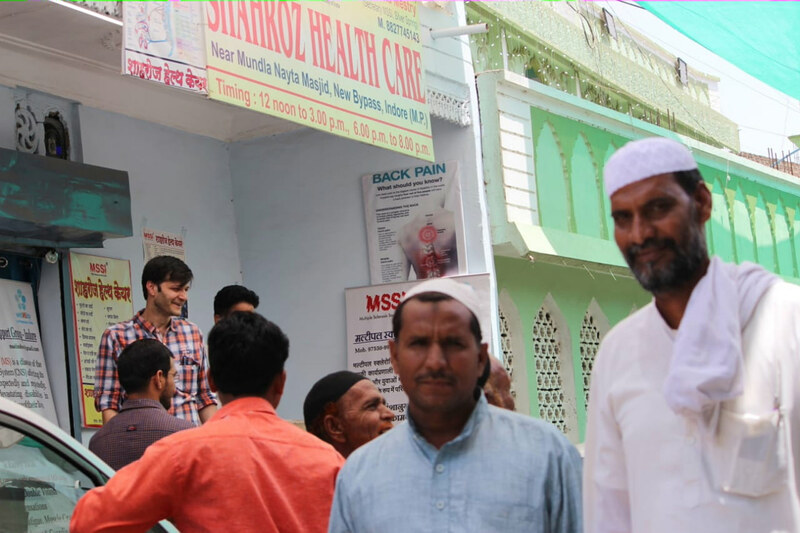 Indore Chapter organised a medical camp for WMSD. This was attended by 125 persons . Medical health check included sugar test, blood pressure test and Korean based acupressure therapy. This therapy was very much appreciated by MS persons and caregivers. 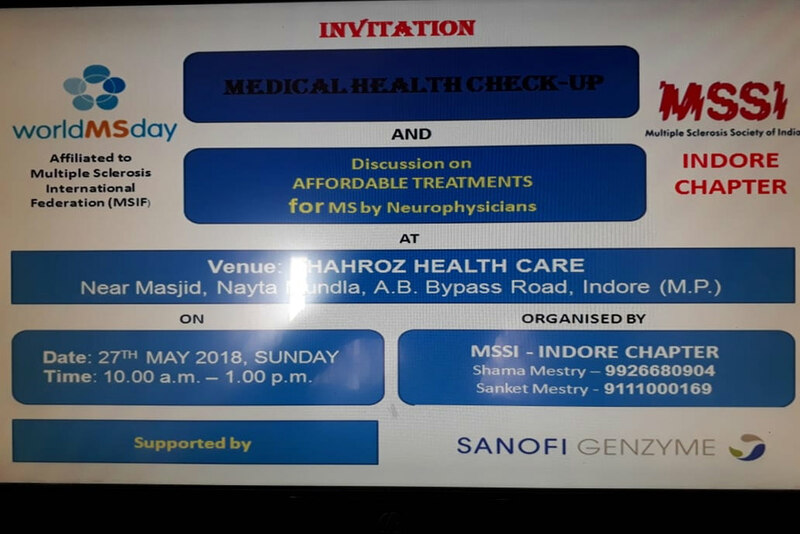 There was an interactive session on affordable treatment for MS between neurophysicians, MS persons and caregivers, guests and members of MSSI Indore Chapter. Thanks to Sanfofi for their support which helped us in organising this event. 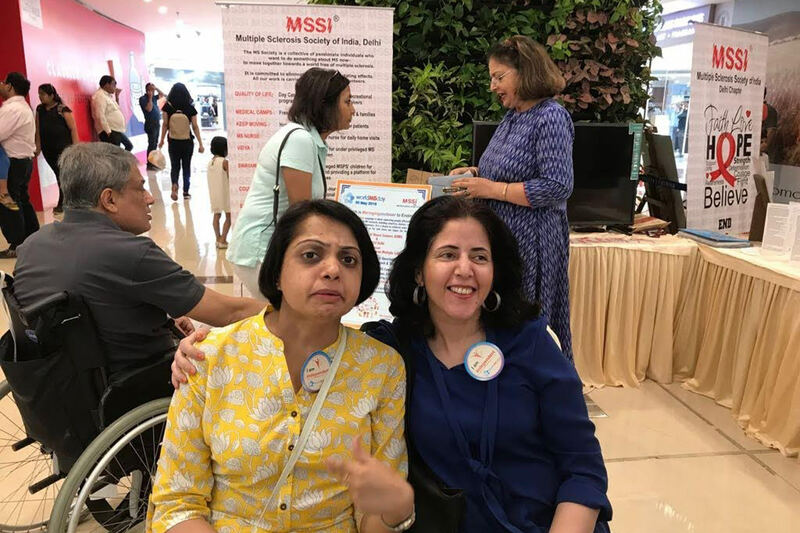 1.Along with the rest of the world and seven other Chapters in India, MSSI Delhi held a series of events in line with this year’s theme of research, giving all those who are curious about MS research an opportunity to meet people involved and learn more about progress in the field. 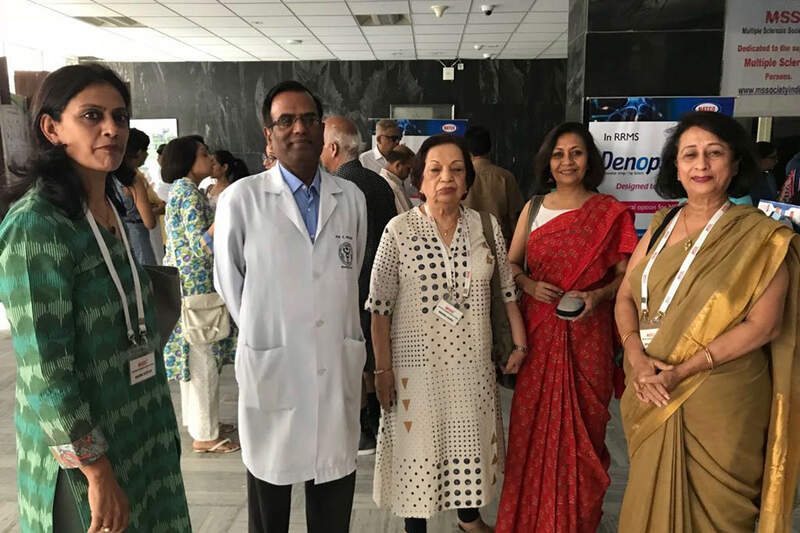 The Multiple Sclerosis Society of India Delhi Chapter and India’s leading Research Centre & Hospital All India Institute of Medical Sciences held an open day for people to meet experts working in MS research & treatment, including psychotherapy and counseling. 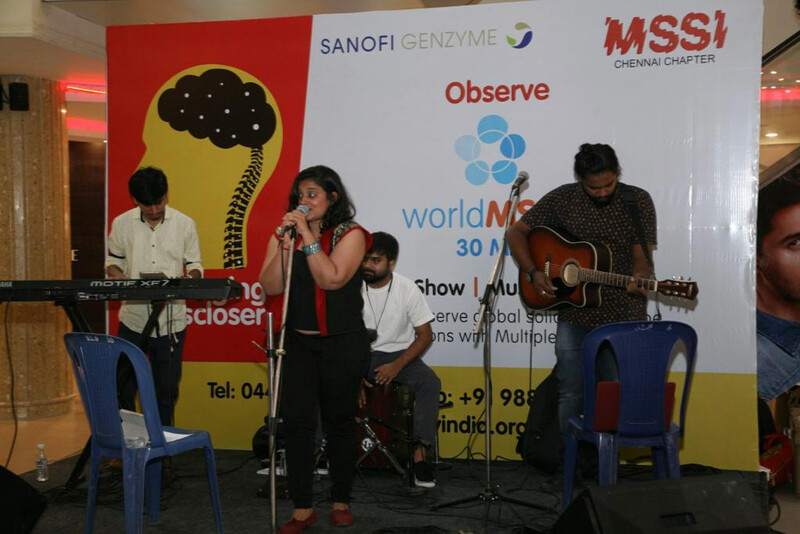 It invited the public to learn about MS and how it affects different aspects of daily life. An awareness Seminar was organised at India’s foremost Hospital & Medical Research centre All India Institute od Medical Sciences (AIIMS) A Panel discussion was held with 7 leading Neurologists / Senior Faculty members of the Neurosciences Centre ( NSC) discussing the latest treatments in the search for cure for MS . Dr Kameshwar Prasad , Head of NSC AIIMS was hopeful of the results coming in from AIIMS own research and corroborated with similar research in the rest of the world with regard to hematopoietic stem cell treatment (HSCT) . He is of the belief that in the near future we could expect that HSCT could well become the first line of treatment in MS. This was attended by over 300 people which included newly diagnosed persons with MS, their families, caregivers, Doctors & members of the general public. 2. 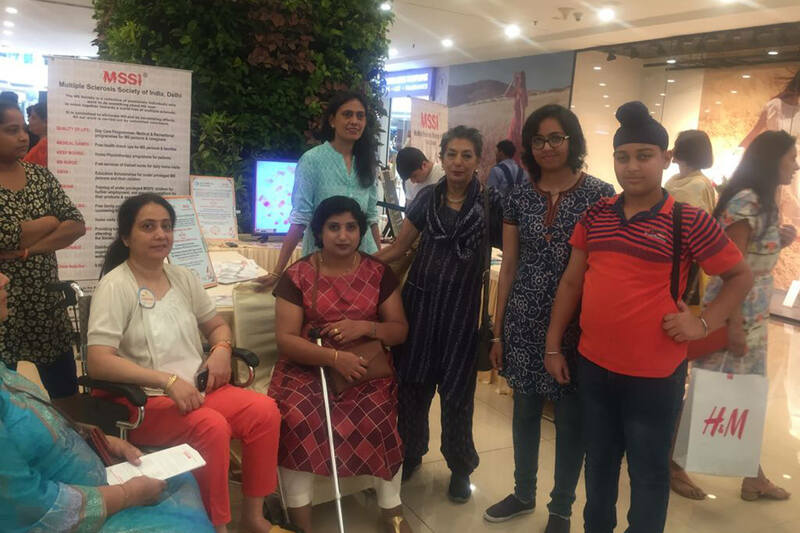 During MS Awareness Week, the MS Society of India’s Delhi Chapter engaged with people affected by MS as well as the wider public. 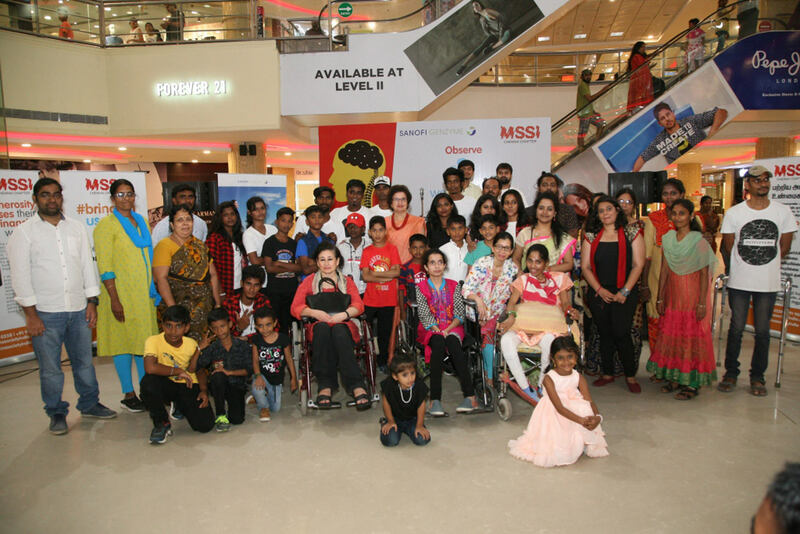 An all day Awareness Booth came up at Delhi’s most popular Mall Select City Mall Saket for the whole day on Saturday 26 MayThis Mall sees the highest foot falls , with up to 40,000 visitors on weekends .MSSI Delhi put up an LCD screen showing short films & videos on MS. several thousand pamphlets on “what is MS” were distributed along with other items like orange MS wrist bands, MS badges , ribbons etc with the WMSD & MSSI logos. 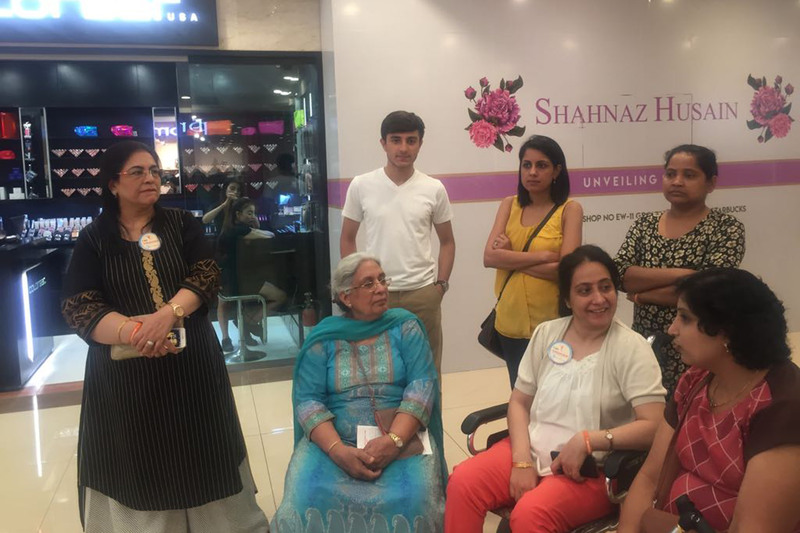 Many persons with MS and their families dropped in and bonded over coffee & pizza spending an exciting day in the Mall – some lucky mamas managed to get a quick free makeover at cosmetic stores while their kids got free balloons at other promotional events ! 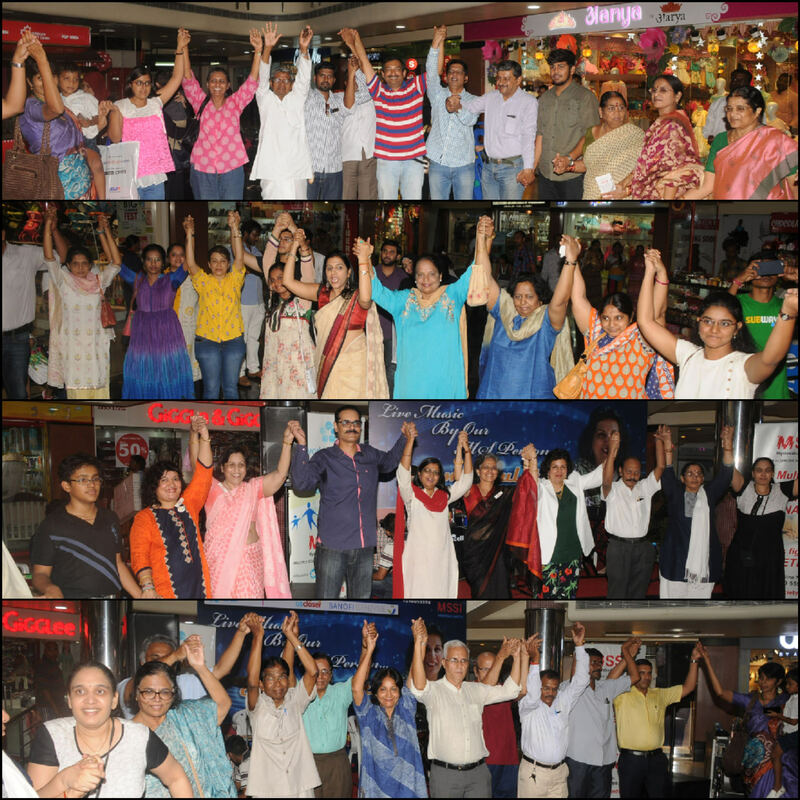 The Hyderabad Chapter celebrated World MS Day at City Center Mall, Banjara Hills on 30/5/2018 with the theme “#Bringing us Closer” from 5p.m. to 7p.m. 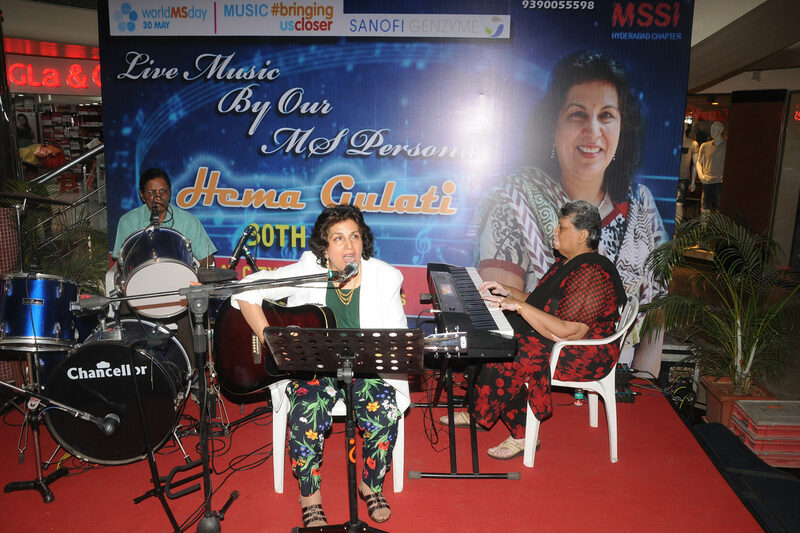 This was a Musical evening with Live singing by our MS person Ms. Hema Gulati Chandra accompanied with Ms. Rani at the keyboard and Mr. Bhaskar at the drums. Our event began with a welcome address by Chapter Chairperson. 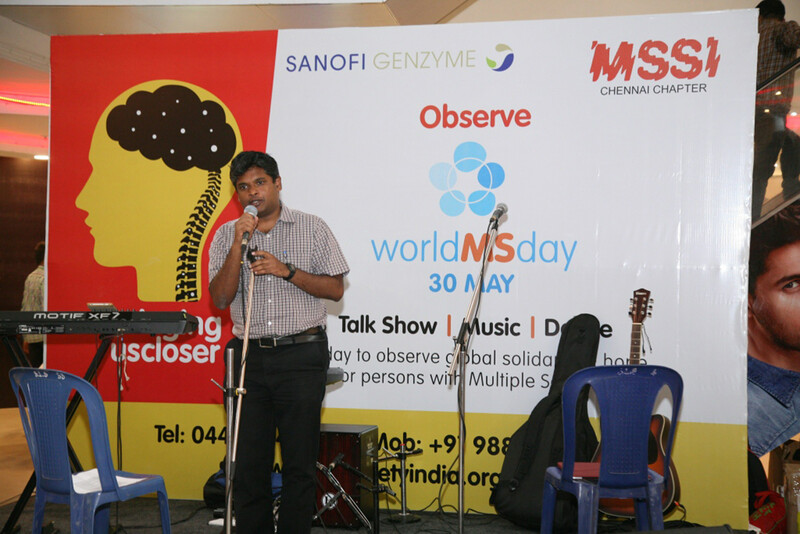 She welcomed all the participants and spoke about the importance of World MS day and Hyderabad Chapter’s activities. Master Gourav Mittal, rendered a beautiful Shloka in Sanskrit. 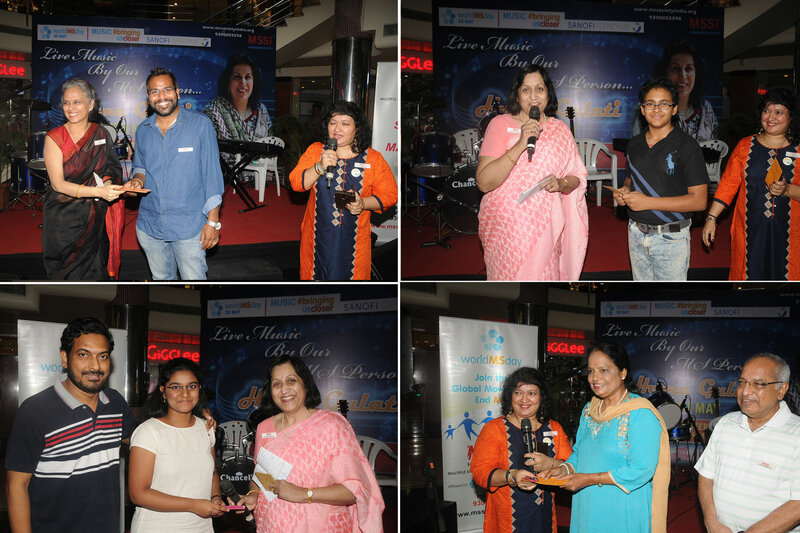 Prizes were given by Mamta Gupta to MS persons Maheshwar, Arti’s son Gourav and Rebecca who had participated in the photography exhibition held at Bengaluru. Prizes were given by Sundari Raju, Secretary Mumbai Chapter to the MS personsHema, Maheshwar, Arti, Sushma and Pavan who participated in the story/poem competition held by Mumbai Chapter. Prizes were given by Meena Gupta to the children of MSPs who have been achievers in academics and other competitions. Sai Keertana Dauhgter of Sareesh, Akshara daughter of Srikanya and Gourav son of Arti. 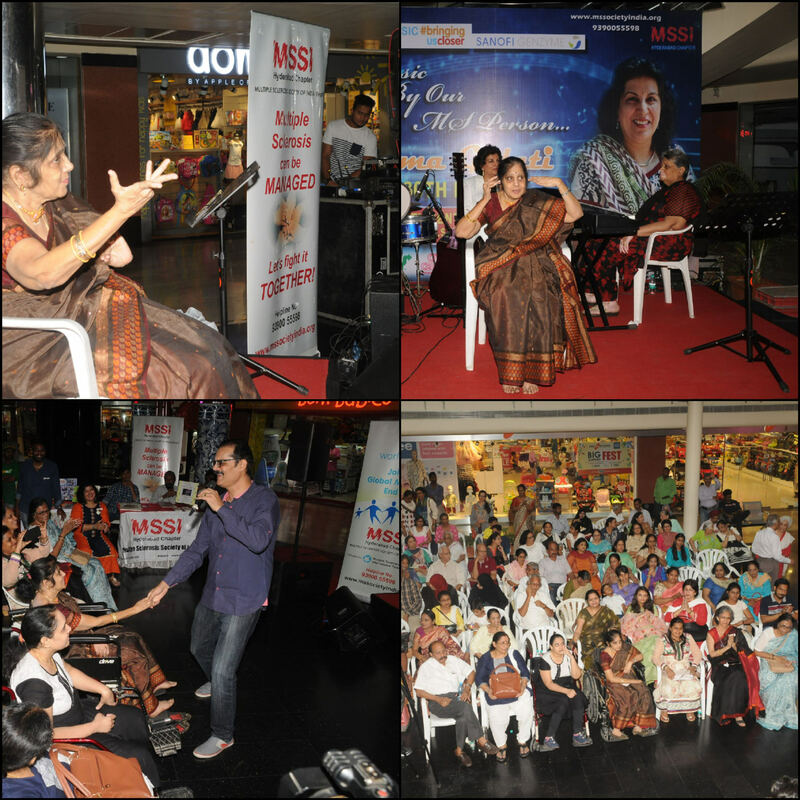 Hema took over the stage and started singing, mesmerising everyone with her melodious voice. She sang old and new Hindi and English songs which made some members get up and dance. 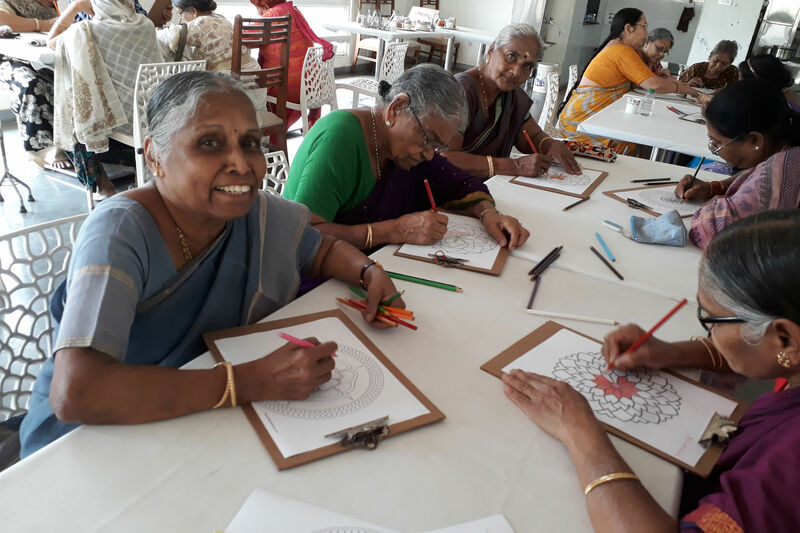 Mrs. Ramadevi, PwMS who is currently confined to a wheelchair displayed the true spirit of ‘Life with MS’ by performing a dance while sitting on a chair. Dr. Mahesh Joshi gave all of us a big surprise by joining in at 7 p.m. He lifted everyone’s spirit with his foot tapping old Hindi songs. The evening was full of fun and frolic. As with all good things, the event came to an end with a show of solidarity for PwMS, their family members, caregivers, guests and life members by forming a human chain. The MSSI Hyderabad Chapter expresses their sincere gratitude to our wonderful sponsors . Mr. Sandeep Shah of Subway for providing snacks and refreshments for all the event attendees. Sanofi Enzyme for their support towards this event. Mr. Asim of City Center Mall providing the venue. Mrs. Deepthi of Darsh Events for the backdrop, and organising the stage. 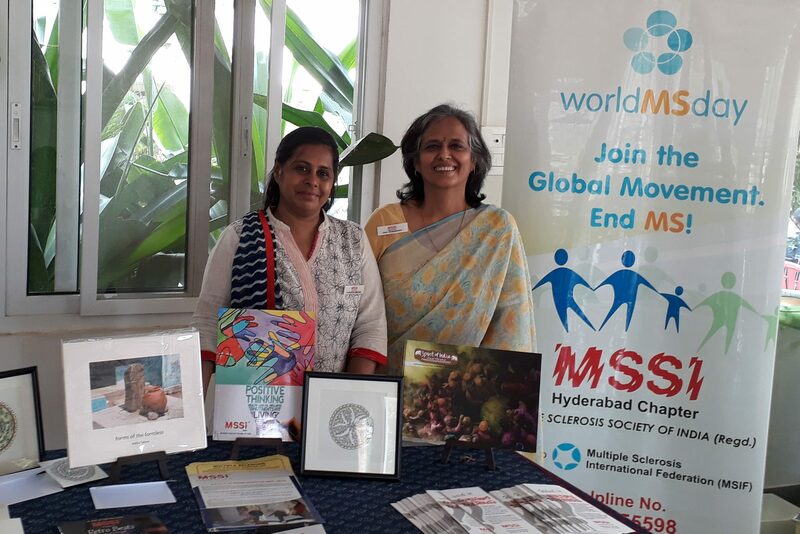 MSSI Bengaluru Chapter celebrated World MS Day on 30th May 2018 at Vikram Hospital from 8.30 am to 12.30 pm. 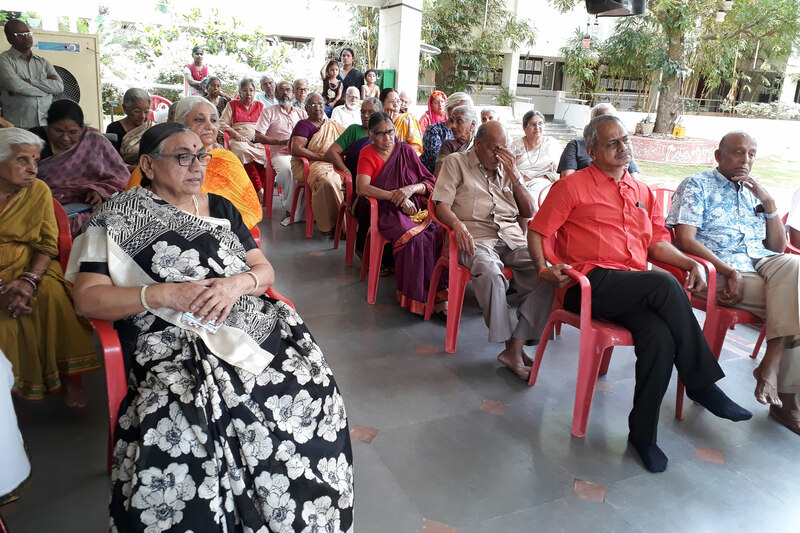 Coinciding with the theme #bringinguscloser we had a large number of participation from MS persons, their family members, Caregivers, Doctors, Pharma people, volunteers, Physiotherapists etc., More than 80 people were present including 35 MS persons. Initially the camp started with sumptuous breakfast sponsored by Pharma Companies Reliance Life Sciences, Merck & Eisai Pharma. Welcome speech was given by Hon. Secretary Shankar Subramanian inviting everyone for the WMSD Celebration. The camp started with Cake cutting of WMSD by MS persons Rajkumari & Geetha Balaji. Laughing therapy by Shankar was held followed by Question & Answer session with MSPs’ and care givers on how people were going about dealing with the treatment & their views. 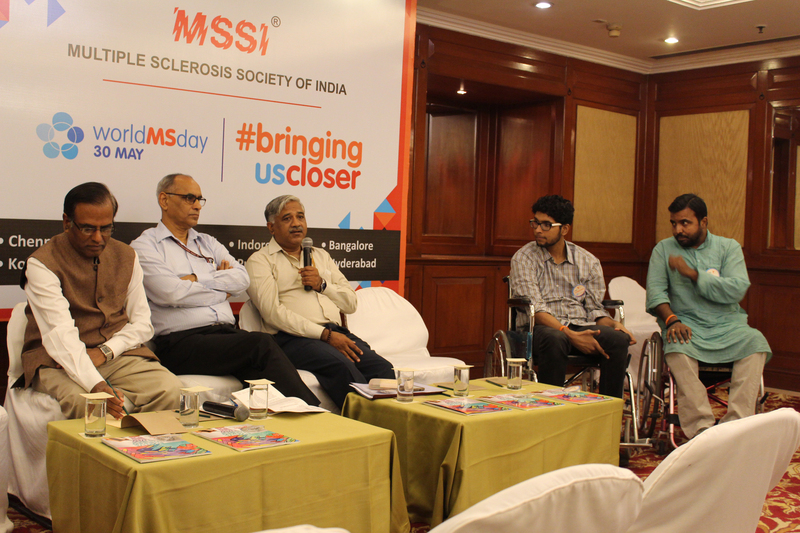 Dr. Rajesh Iyer also explained in detail about the disadvantages of the disease for people who are not on any therapy in order to avoid further deterioration of MS. This discussion was followed by Yoga therapy by Dr. Shashikanth for about 15 mins in which he taught some simple mudras to be followed daily. An important event of the day was Donation of Wheelchair & Air bed to the needy MS persons by Vikram Hospital. 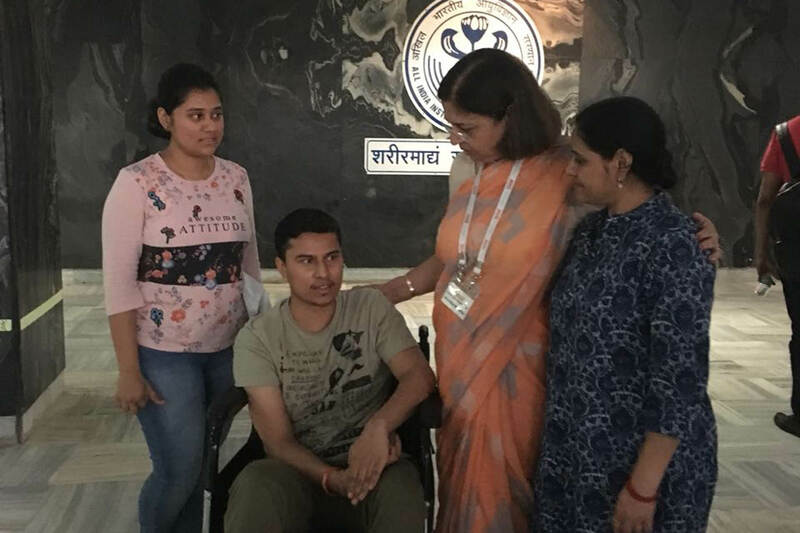 Two Wheelchairs were donated to Manohar & Narayan Rao & an Air Bed to MSP Archana. 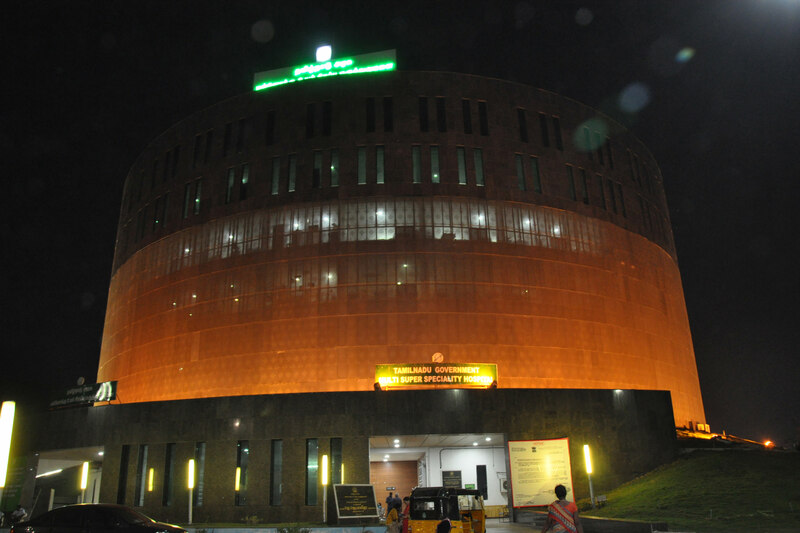 MSSI is indeed thankful & grateful to Vikram Hospital for their kind gesture for organising everything in celebrating WMSD in their premises. A talk on Nutrition was rendered by Dr. Swarna Gowri for the MS persons to maintain a healthy diet. On this great event MS person Rajkumari, Dr. Rajesh B.Iyer, Dr. Shashikanth & Mr. Prasad was awarded the Champion Award given away by the CEO of Vikram Hospital Mr. Somesh Mittal. MSSI honoured all the Doctors & Pharma Representatives by giving them a Memento for their support in organising the event successfully. 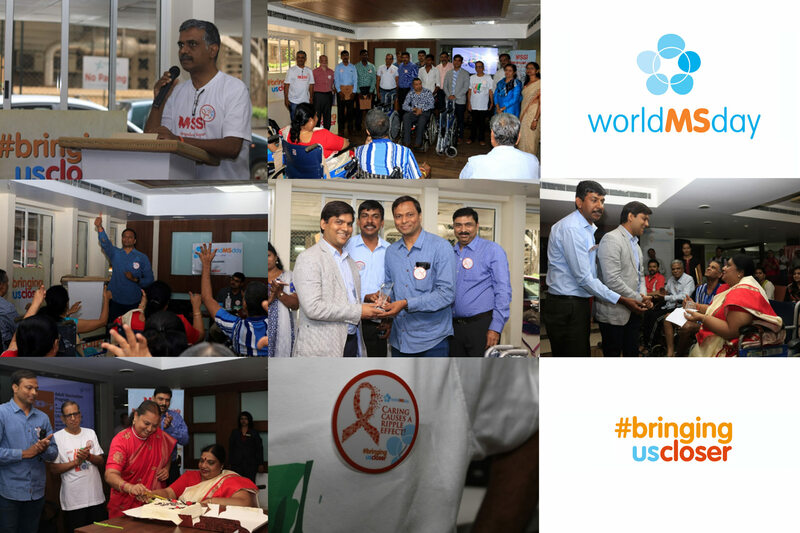 All the MS persons were given gifts to commemorate WMSD. The program came to an end after the consultation of MS persons with the Doctors. 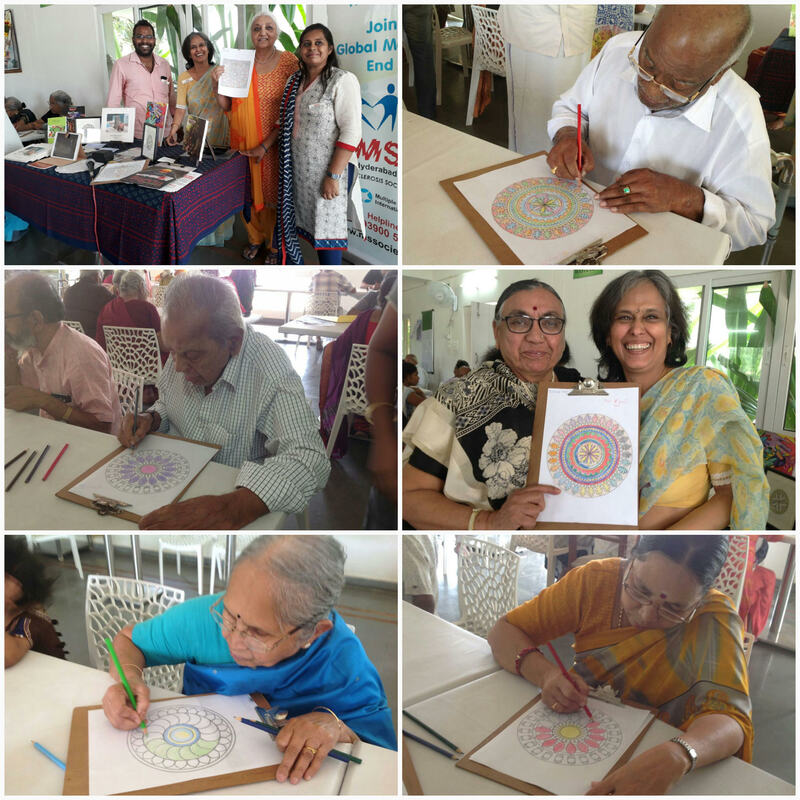 On Tuesday 29th May 2018 our Corporate Partners BNY Mellon organised a poster competition at their premises at Magarpatta City to observe World MS Day. 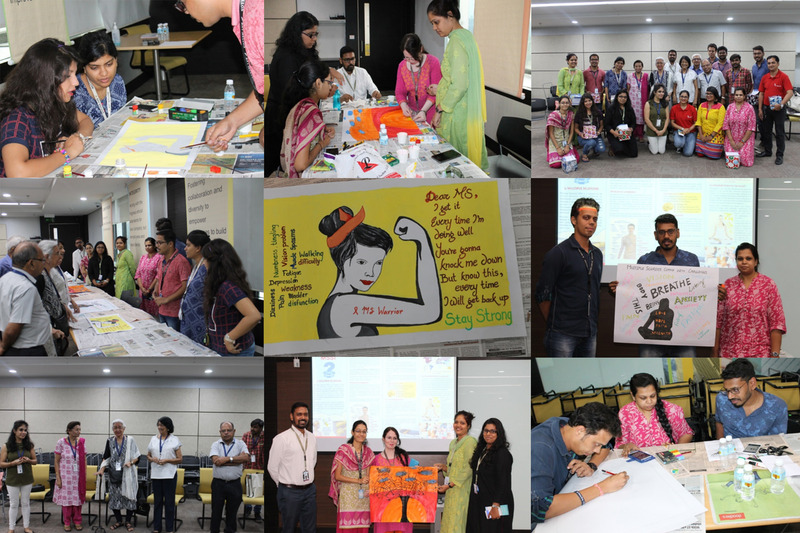 The Theme of the poster competition was to express their feelings and understanding of the various challenges faced by MS persons. Our Committee Members, MSPs, staff members and BNY Mellon Volunteers were present for the Event. The participants of the Poster Competition were divided into three groups. Each Group started painting posters keeping in mind the main theme. At the same time Committee members, BNY Mellon volunteer and MSPs shared their views on MS, this little known disease. MSP Anjali Vyas spoke about the challenges she faced from the day she was diagnosed with MS. She was very positive, courageous and openly aired her thoughts and feelings. Then Committee members viewed the posters. Every painting turned out so meaningful that it became difficult to judge the best. So It was decided to give prizes to all the participants. Mrs. Mini Grant our founder Chairperson gave away the prizes and thanked them for their participation. The event concluded with the vote of thanks to BNY management and all present. 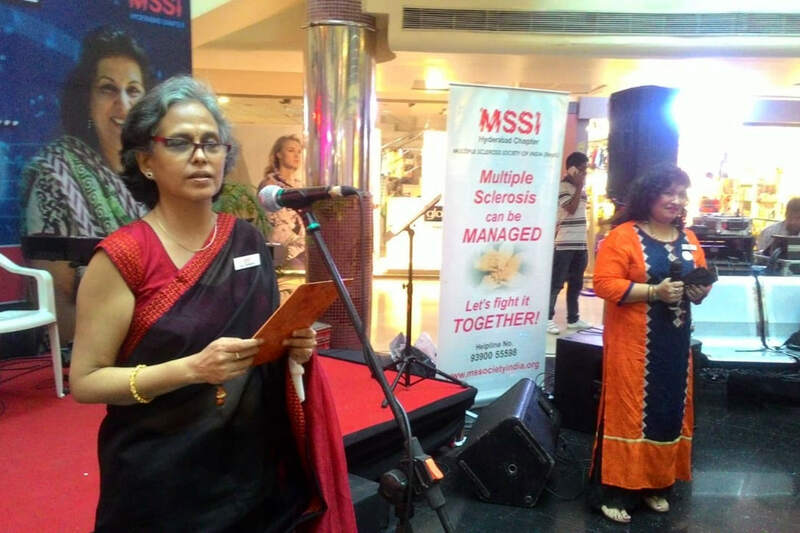 New Delhi 28 May 2018: Multiple Sclerosis Society of India(MSSI) commemorated ‘World Multiple Sclerosis Day’ in New Delhi the capital city of India. There seems to be a considerable shift in MS prevalence in India and this has really changed the notion of considering India as a low risk zone for MS. 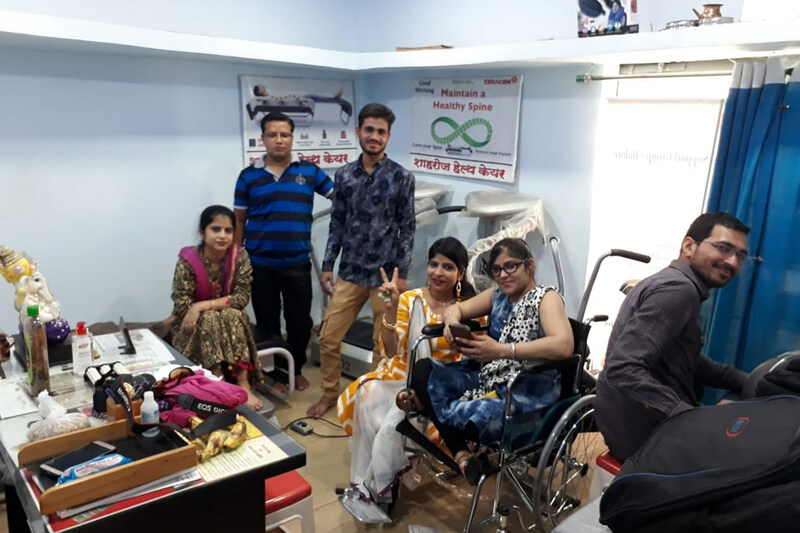 So much so that MS is included in the new Rights of Person with Disability RPWD Act and the ministry of Social Justice and empowerment has recommended that MS along with all other new disability be included in the Ayushman Bharat a national health protection scheme. 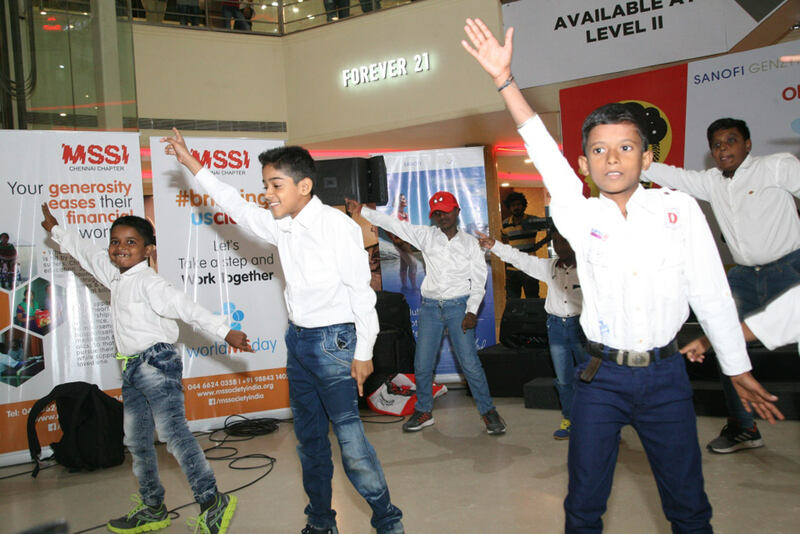 1.”Nrithya Sandhya” Music, Dance and a talk by 4 of our MS Ambassadors in the presence of the State Commissioner of Disability, Mr. Arun Roy at Express Avenue Mall, Chennai on May 26, 2018 . We had standees at Express Avenue mall showcasing the support, symptoms, facts on MS.
Our MSP MS. Grace Arundati did the compering part. Our MSP’s Ms. Monolisa, Ms. Kalaivani, Mr. Rajesh, and Mr. Siva Kumar talked of their achievement with MS.
2. 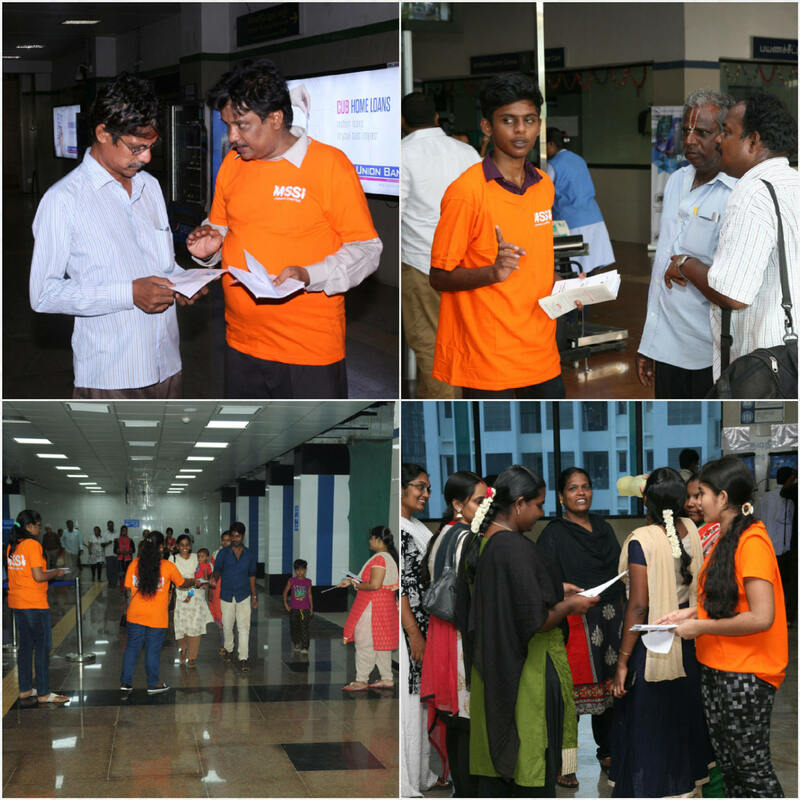 Creating Awareness in Chennai Metro Rail Stations. Our committee members and volunteers in large numbers displayed standees banners and literature on MS was handed to the public at large who used the Metro Rail. The highlight of the event was that Metro Rail had opened up 10 new stations to the public 5 days earlier, and to encourage its use, the train rides on the length and breadth of the Metro Rail was free. So more number of people against our expectation thronged the stations. 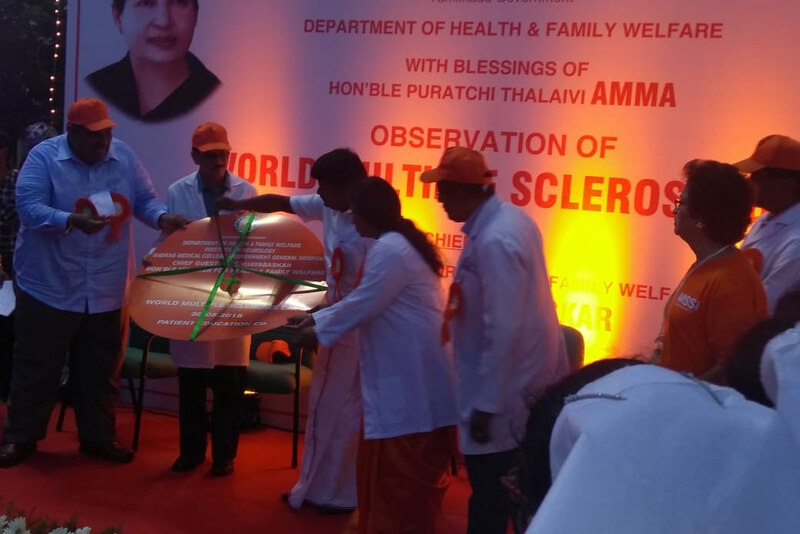 The highlights were that in 2 particular stations, Metro Rail, Central Mofussil Bus stand, Egmore Station–where long distance trains go down South and the local suburban electric trains meet, was our greatest awareness point – average 20,000/- people pass thru these 4 points everyday- huge awareness about Multiple Sclerosis. Courtesy to Mr. Sivakumar of AGS Cinemas: A slide portraying MS and its symptoms were shown on screen from Friday (25th May) to 30th May at noon, evening and night shows. This created a lot of awareness among the public at large. 4. 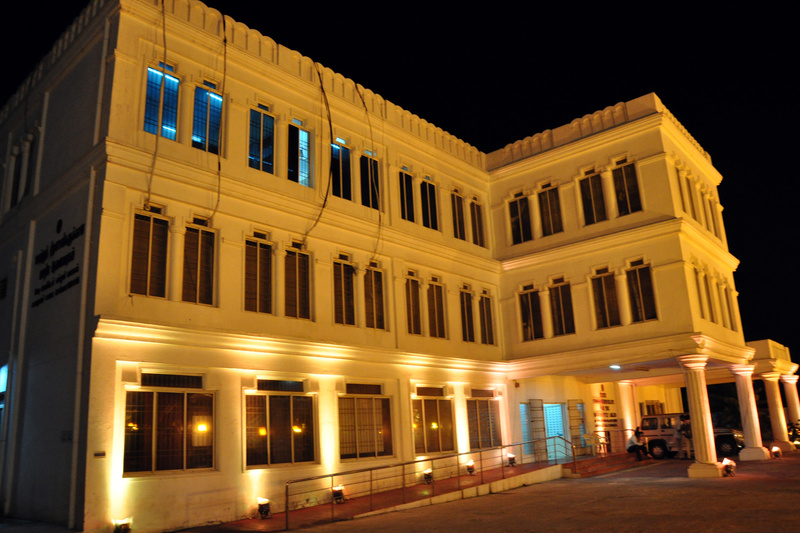 Rajiv Gandhi Government General Hospital and Medical College, Chennai. The Chief Guest was the Hon. Minister of Health and Family Welfare, Govt. of Tamil Nadu. This was in presence of the dean of the college, Dr.Mrs. 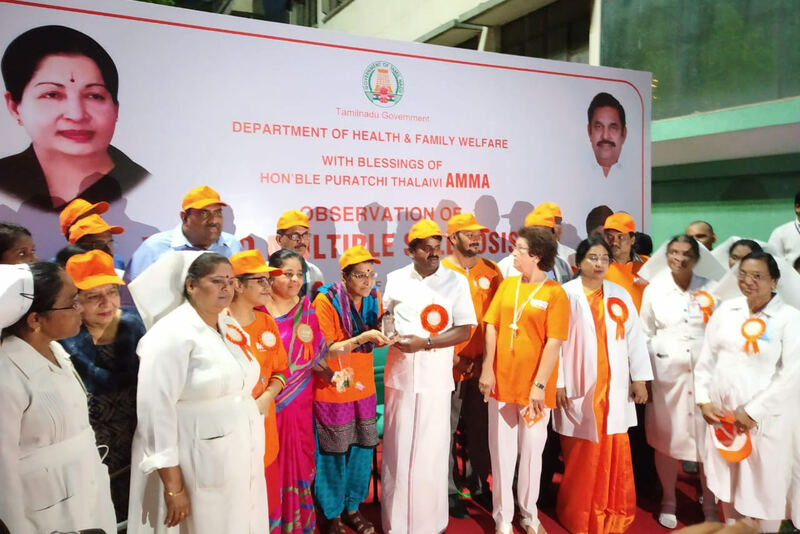 Jayanthi, heads of all the 16 departments in the hospital, nurses, paramedics, physiotherapists, pharmaceutical company representatives, patients and press in attendance. 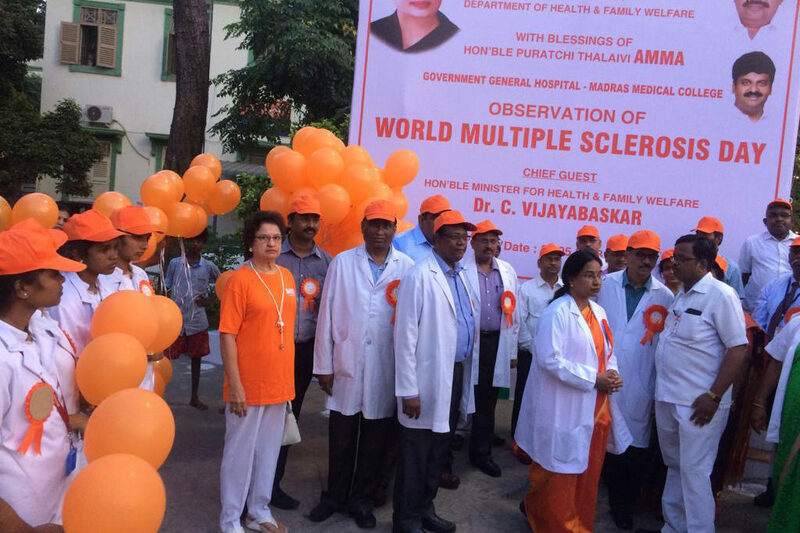 5 MS patients received MS AMBASSDOR AWARDS while Dr. Sarala ( Dept of Neurology) and Mrs. Ann Gonsalvez (Chairperson, MSSI, Chennai ) received MS CRUSADER AWARDS from the minister. 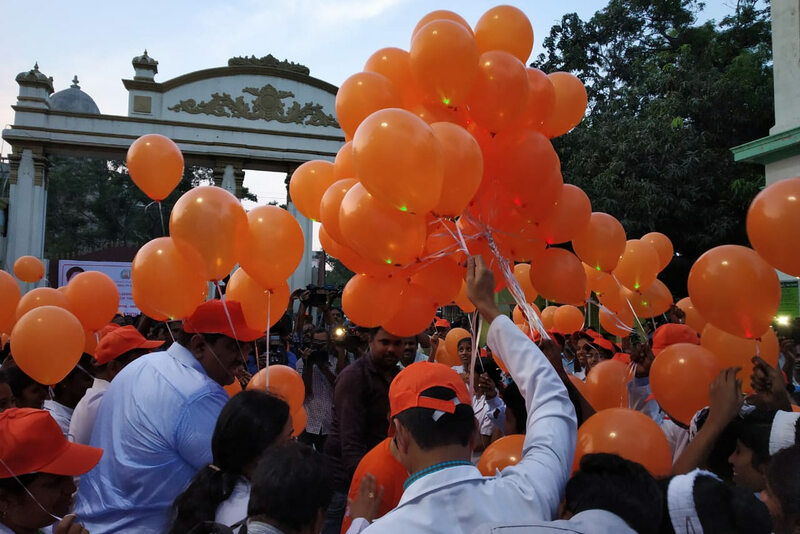 Orange balloons were released into air, a CD on MS was released and Orange lights lit up the hospital building. It really echoed the theme “Bringing us Closer”. 5. 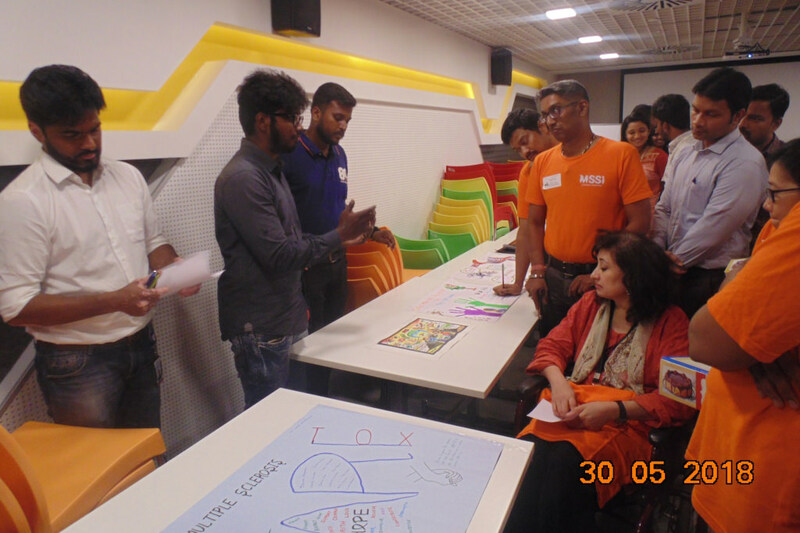 BNY MELLON – Our CSR Partners held a Poster competition highlighting their ideas of MS.
On 30th May Evening , at DLF cybercity we had an indoor programme with BNY Mellon( our CSR partner) employees, MS persons, caregivers and Office staff. 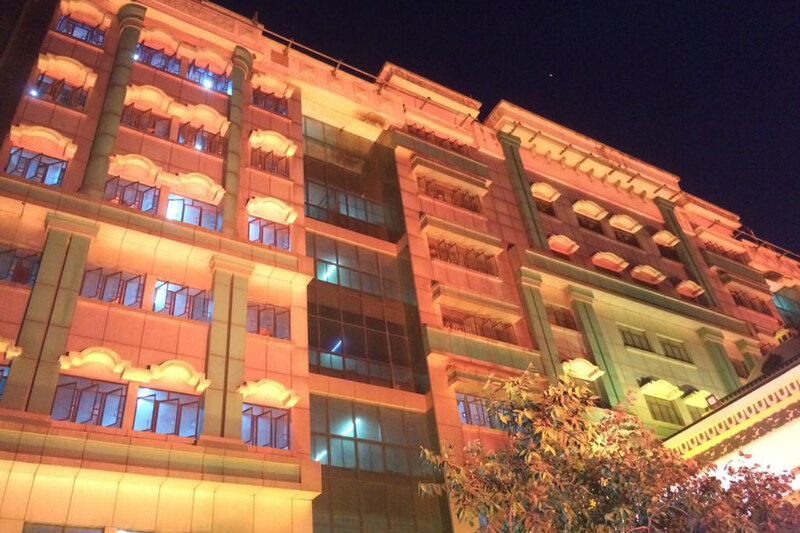 They had a completion of posters among the employees and MSP”s had the PRIVILEGE of judging the best three posters. Awards were given to the best three posters by MSSI. BNY Mellon volunteers had a small entertainment with a song, dance, and a talk show by our MS ambassador, Mr. Gopi. 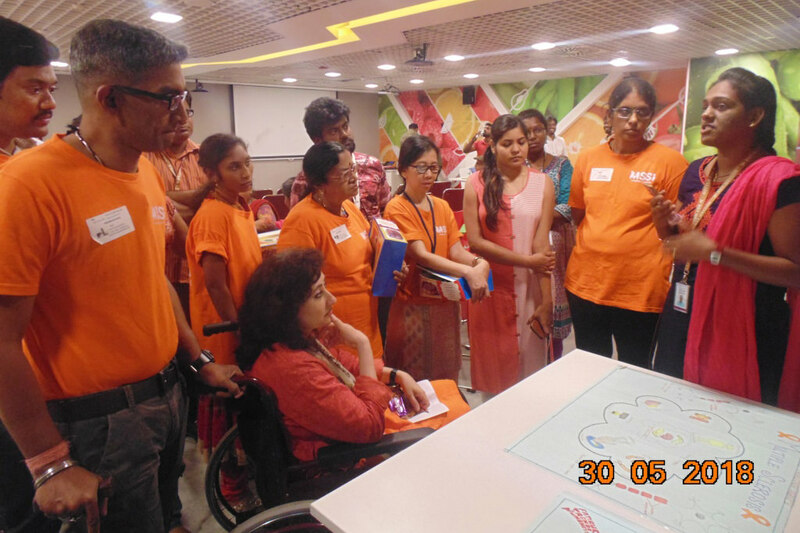 There was talk by 2 BNY Mellon Volunteers on how much their life and attitude has been guided after their association with MSSI,Chennai. 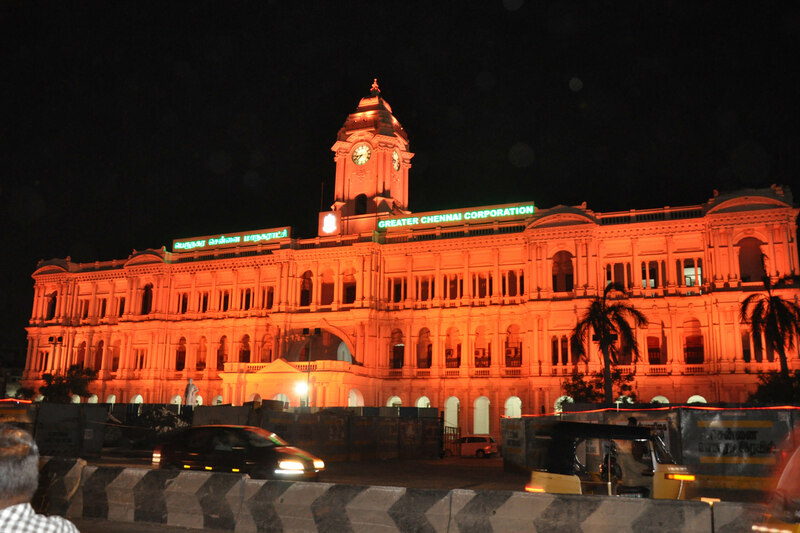 To mark the 21st year of the FUNCTIONING of Multiple Sclerosis Society, Chennai Chapter, 21 Prominent Buildings supported us by lighting in “orange’ colour…to name few :Rippon Building, Commissioner-Corporation of Chennai, Acropolis, Bergamo, Office of the Commissioner of Differently Abled, Office of Inspector General of Police, Hablis Hotel, Ashok Leyland corporate office, Raymond showroom, NIEPMED, Tamil Nadu Government Multi Super Speciality Hospital and The Rajiv Gandhi Government General Hospital – (2 of the largest teaching Hospitals), BOSCH Limited, Deutsche Bank, Apollo Hospital Administrative Office, Rajan Dental, etc. 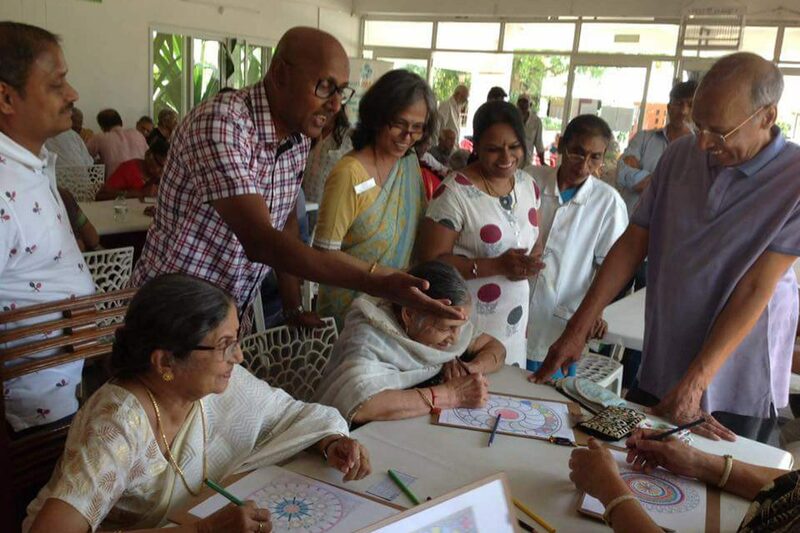 We thank Radio Chennai live 104.8 FM for broadcasting a live talk with Dr. Sivarajan Thandeeswaran, a leading Neuorlogist who spoke, on recent developments in MS – research, treatments and drugs.